The American car manufacturer Jeep presents its craziest, most unreasonable and funniest project: the Jeep Trackhawk. It uses a Hemi 6.2 Supercharged V8 engine with a huge compressor, which was already used on the Hellcat. The Trackhawk delivers an incredible 710 hp and 868 Newton meters of torque. Does it win the title ‘fastest SUV in the world’ or can anyone still keep up? 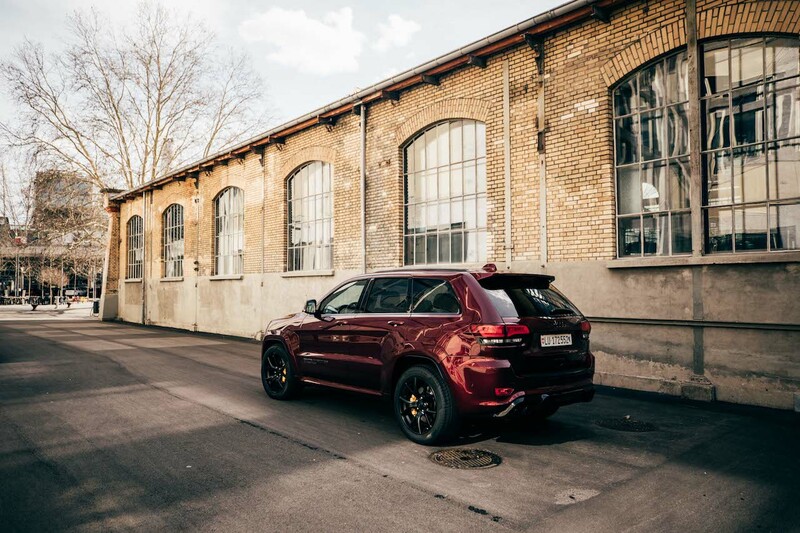 The fascinating thing about the Trackhawk: you forget yesterday and tomorrow when you press the accelerator pedal. Speed, rpm & momentum are pushed into the background, power is available at any time. Anyone who has ever ridden a Tesla knows what the first few metres feel like: a bit like on a roller coaster. 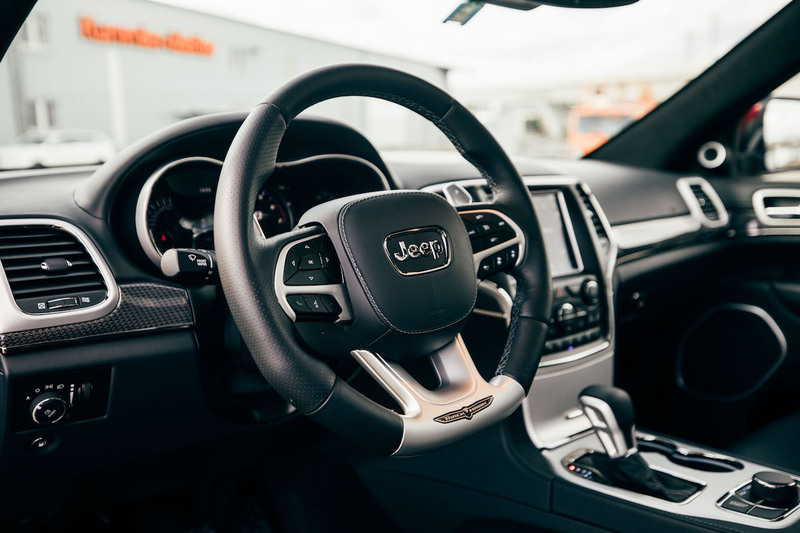 PS junkies are allowed to buckle up well in the Jeep Trackhawk: it’s very similar here. 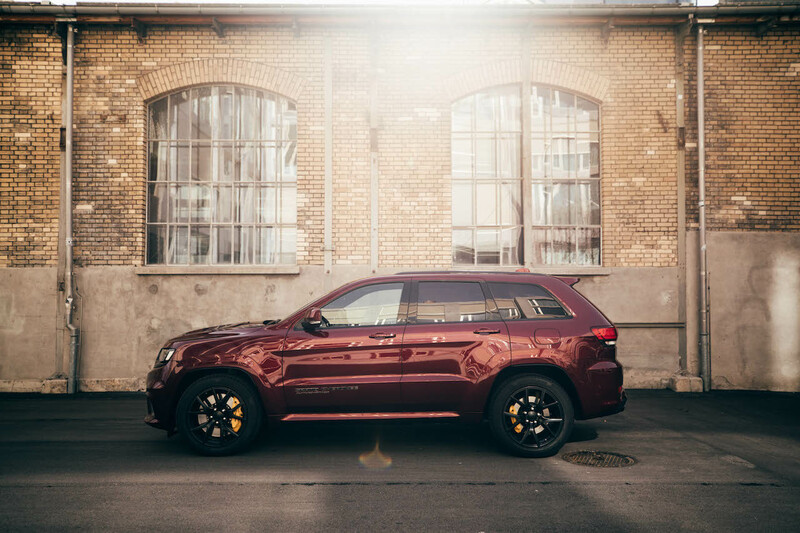 Perhaps the fastest SUV in the world owes this to a supercharged 6.2 litre Hemi engine that delivers an unspeakable 868 Newton metres of torque and an eight-speed automatic transmission that takes the gears to the next level within 160 milliseconds. 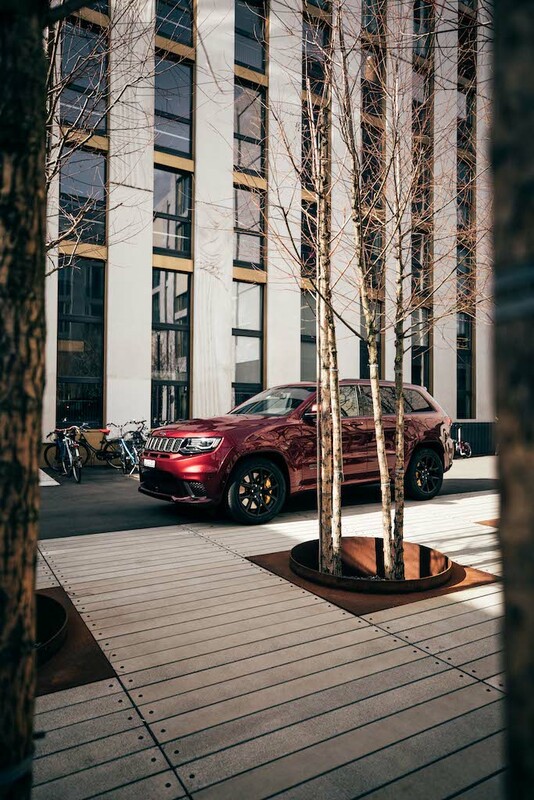 The Jeep Trackhawk has undergone a number of revisions to ensure that the drive drive can withstand the power: reinforced drive shafts, reinforced automatic transmission, a reinforced transmission and an individually adjustable adaptive chassis. 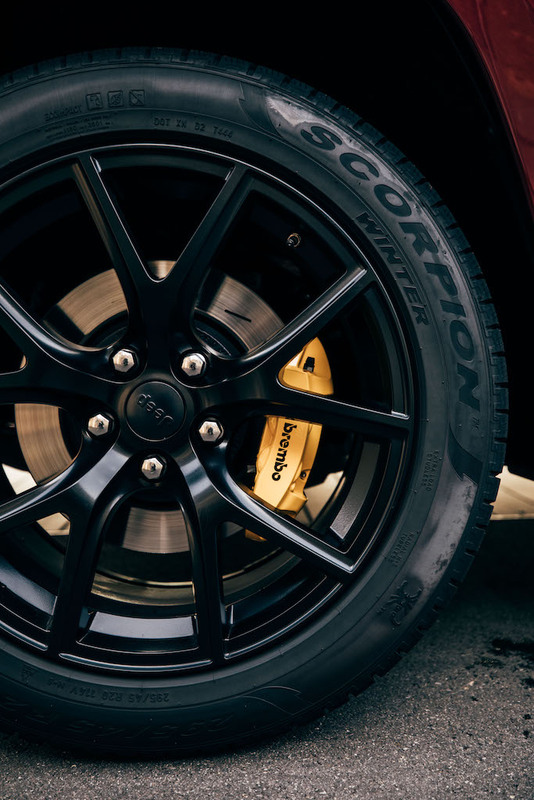 In order to bring the 2.5 tons to a standstill, a giant Brembo brake system was installed. How about pushing it through corners? We mentioned that the possibly fastest SUV in the world can keep up straight ahead with the very big ones. But what about the corners? Despite the concentrated power, I think that the Jeep Trackhawk can only barely compete with a sporty hatchback on a pass road. By changing the driving modes the power distribution 30:70, 40:60 or 50:50 can be adjusted, but a weight of 2.5 tons is not necessarily the best friend of fast lap times on the track. 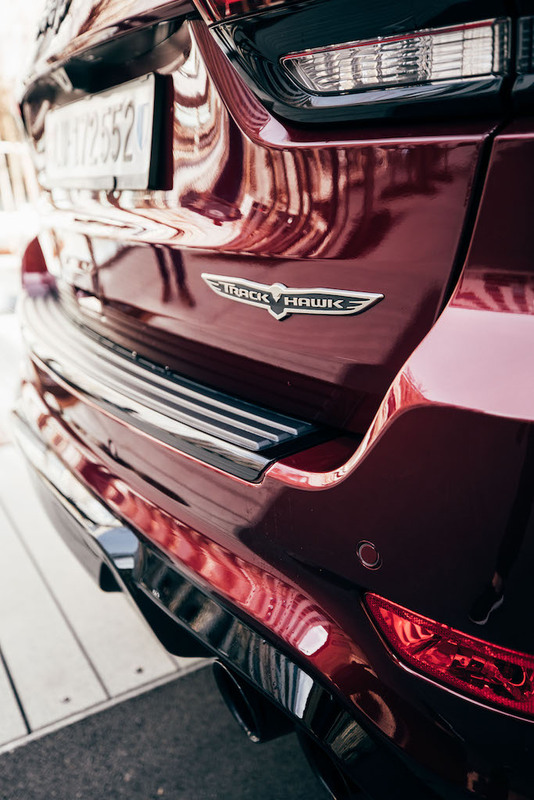 4 fat tailpipes, huge air intakes and a potent radiator grille let you guess what is under the hood. 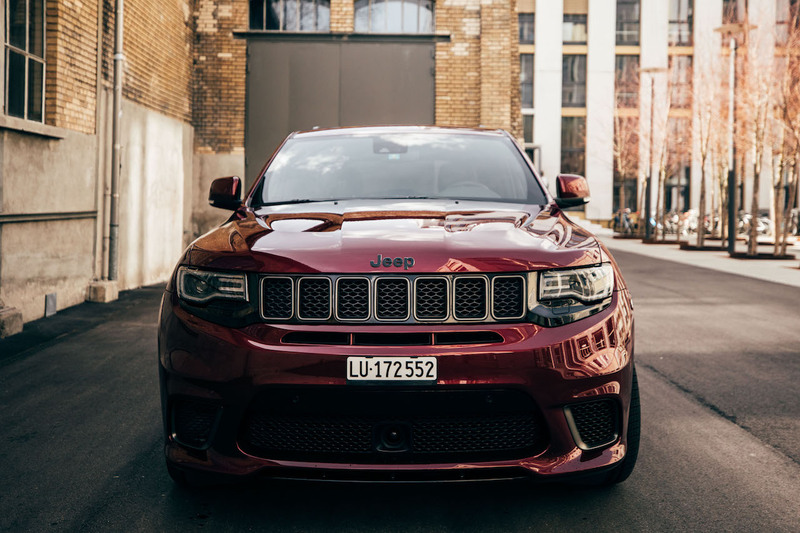 The Jeep Trackhawk is definitely eye-catching! The infinite variety of the settings is a true paradise for the child in the man, you can simply measure everything with the performance tools: Lap times, 0-100, G forces, launch control, detailed chassis setup, etc. 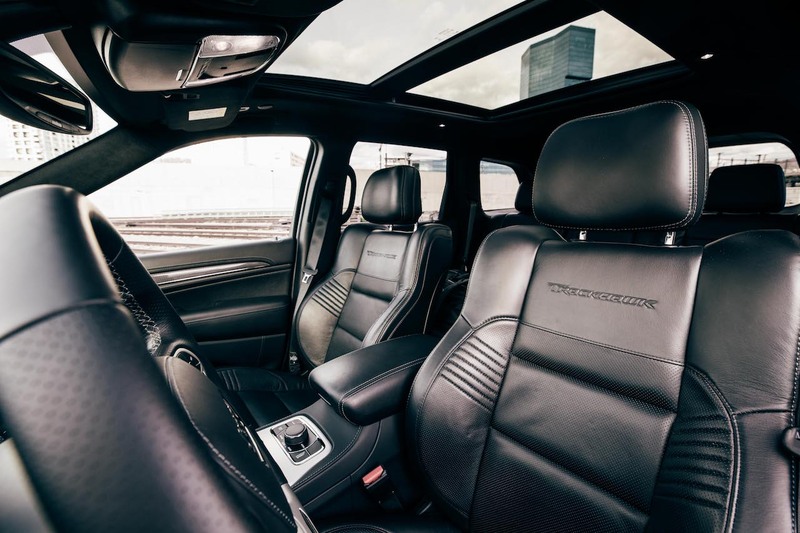 Otherwise, you’ll find everything you might expect: a large panoramic roof, cruise control, steering wheel heating, seat heating and a lot of leather. When knocking/touching the plastic elements, however, you realize that the American DNA is still in there a little bit. So much fun has its price: our test car had an average consumption of 21.0 L/100km, once refueling costs thereby 134.17 CHF with 80 litres volume. 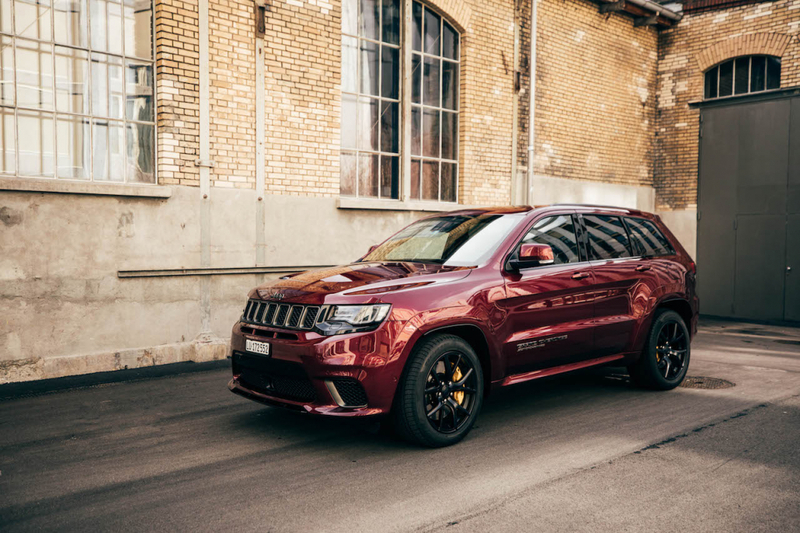 Prices for the Jeep Trackhawk start at 140’000 CHF. Fastest SUV in the world or not? Now the resolution of the big question: does the Trackhawk deserve the title ‘fastest SUV in the world’? The answer is not so clear; in 2018 Lamborghini introduced the Urus, which with 650 hp has slightly less power, but completes the 0-100 mark in 3.6 seconds. Maybe we’ll see a drag race soon!